The SECCA App supports development of knowledge and skills in navigating sexuality and relationships concepts across the lifespan. The SECCA App is an innovative web-based resource that is used across a variety of sectors including education, health care, social skills development, and justice. Generous funding from the Disability Services Commission of Western Australia allows this resource to be freely available to Australian residents. 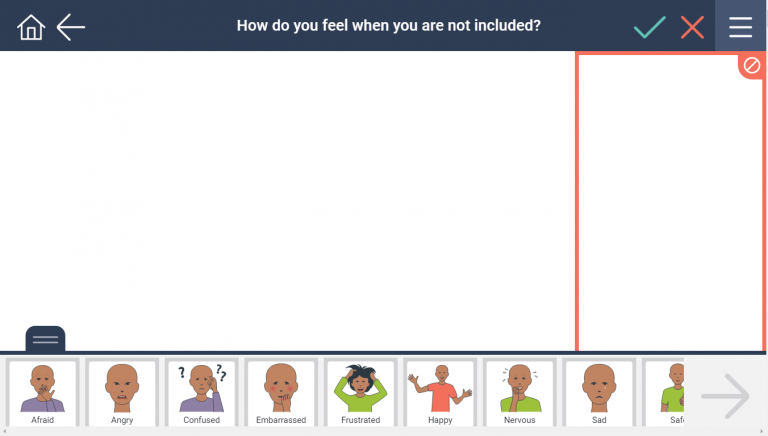 The SECCA App is a digital translation of a hard-copy resource developed by SECCA alongside Educators and Therapists working with children and adults with special educational needs. The SECCA App provides teachers, education assistants, counsellors, health workers, medical staff, and support staff with a resource to assess and develop an individual's understanding of relationships and sexuality concepts. Over 170 in-built lesson plans covering both Early and Advanced Concepts offer suggestions for addressing gaps in knowledge, assessing understanding, presenting new concepts, or as a way of communicating preferences. The SECCA App includes Foundation Games to assess knowledge of core preliminary concepts, a lesson plan area to create, edit, and plan customised lessons, and a working space to interact with images and share understanding. The working space provides flexibility in being able to drag and drop images onto the board. A variety of teaching modes can be used including sorting, yes/no, appropriate vs inappropriate, expected vs unexpected, picture sentences, sequencing, and stating preferences. Additional features include tapping images to hear their names, pinching and squeezing out to rescale images to make them larger on touch screens, and flicking tiles off the top or side of the board to discard them.